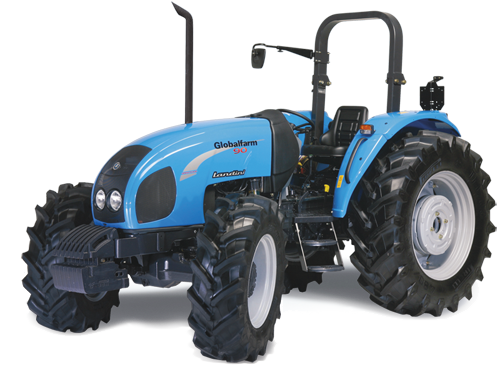 The Globalfarm series (90 and 100), with four-wheel drive features a simple, economy-driven design, these tractors are ideally suited for an all-round use as they are in a position to provide excellent performance and functionality for maximum reliability and durability. 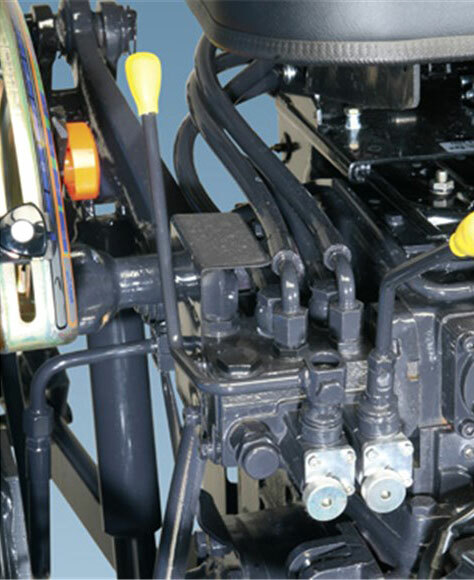 The new environment-friendly Perkins 1100A series 4-cylinder engines offer high fuel efficiency, low noise and reduced emissions while delivering a high torque backup. 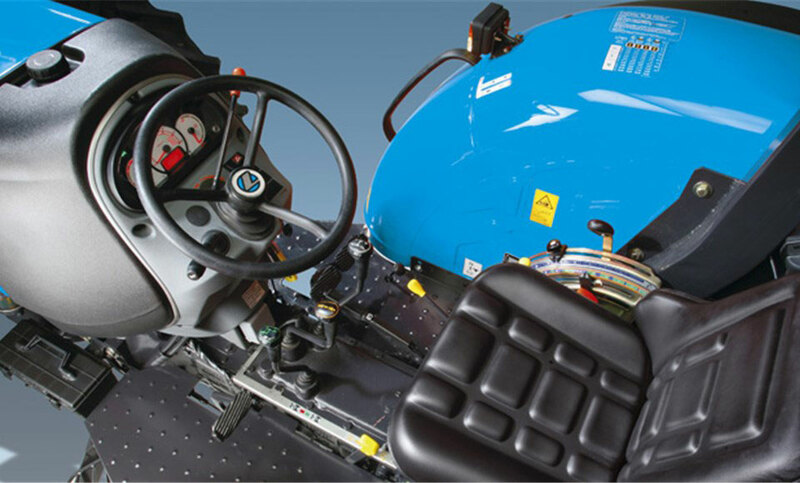 The driver's seat is mounted on an ample platform and equipped with a fully adjustable sprung seat to maximise the driving comfort. 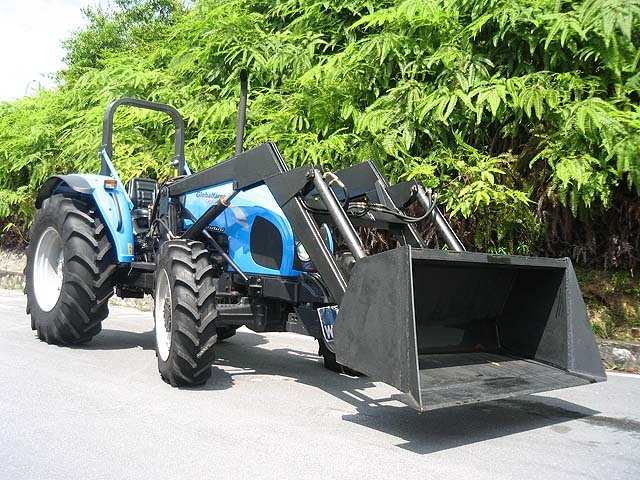 The ergonomically-arranged controls make the operator's work easier and more comfortable. The forward tilting hood provides easy access to the engine for routine service and maintenance operations while its modern design with slanting contour ensures the utmost visibility at the front. 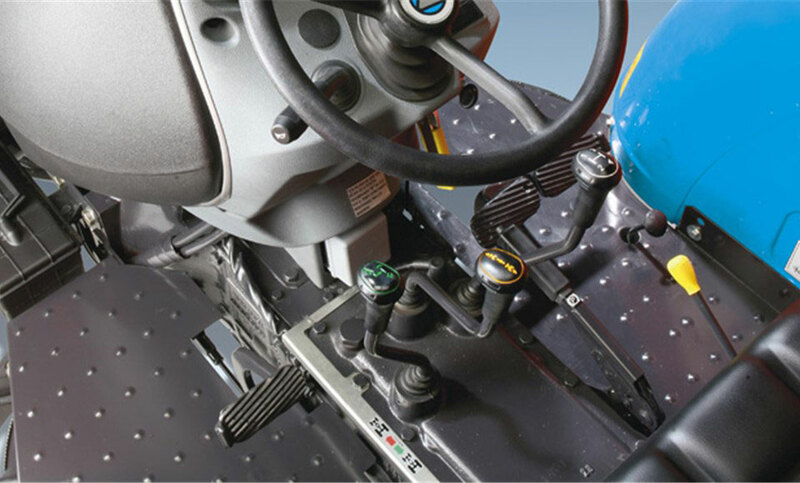 The two-post ROPS is equipped with a sun/rain canopy. 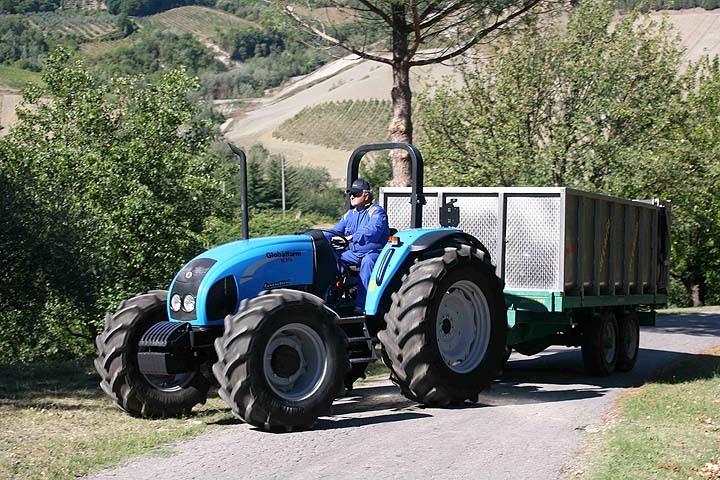 The tractor range includes two models equipped with different engine versions for maximum versatility and increased productivity. 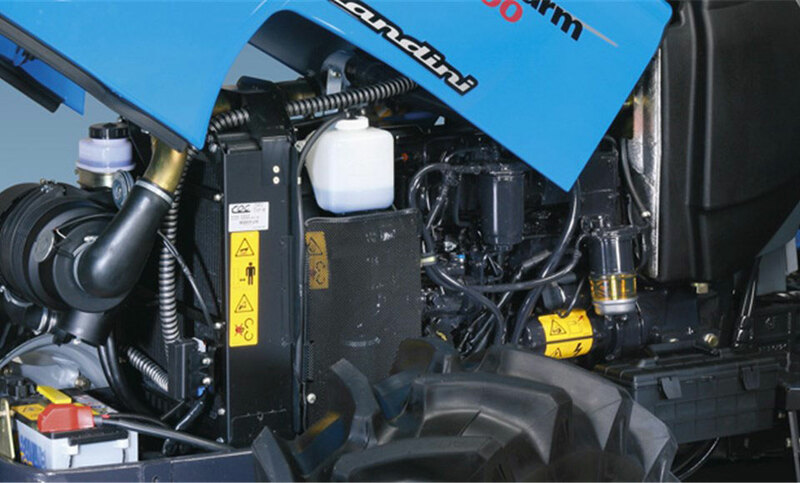 The Globalfarm series (90 and 100 models) are equipped with the new Perkins 1104A 4-cylinder aspirated and turbo engines. The new engines deliver 90 and 100 HP respectively, while offering high torque backup, improved fuel economy, low noise and reduced emissions. 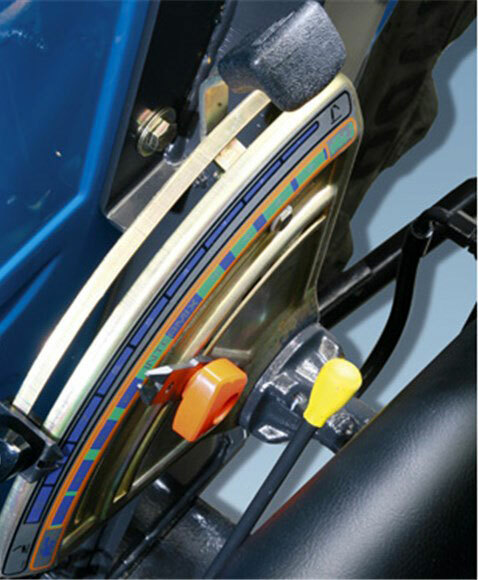 The forward tilting hood provides easy access to the engine for routine service and maintenance. All data subject to alteration without notice.